Oh wow!! You always look so glamorous and this dress suits you perfectly! That dress looks amazing ! The drop back hem is lovely, really makes the dress! Simply a beautiful woman, she looks great wearing anything. Such a great piece! Loving the high-low hem and the relaxed feel. 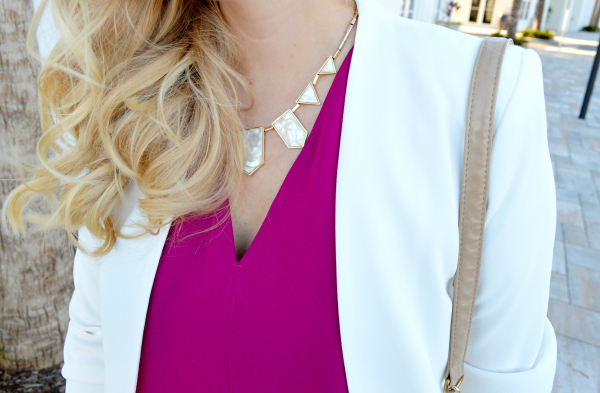 That blazer is the perfect addition! This shade looks stunning on you! Love the dress. Love this dress!! You look so beautiful! Oh my! This dress is gorgeous! Love the vibrant shade of this dress. Gorgeous! I love this dress and even more so knowing that it has pockets. The color palette of this outfit is terrific and so well put together! Yes! Must-have is right! In love with this color! So wonderful fashionable dresses . Like these .